South super star Rajinikanth is gearing up for the shooting of his new movie titled “Robo 2”, directed by Shankar. 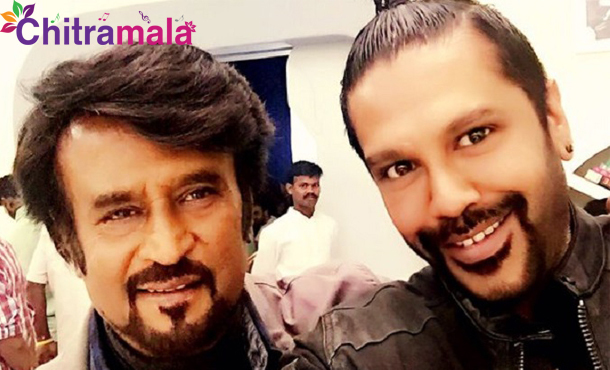 The regular shooting of the film has begun and Noted fashion designer Rocky S is styling Thalaiva Rajinikanth for “Robo 2”. Have a look at the first look of Rajini in this picture. Have a look at stylish Rajinikanth with a chic beard with new hair style. Rocky S, who has previously designed for Bollywood famous stars like Salman Khan, John Abraham, Bipasha Basu, Katrina Kaif, Shilpa Shetty, Hrithik Roshan and several other celebrities. This science-fiction film ia sequel to Rajinikanth’s movie “Robo” and in Tamil it was released as “Enthiran”. Bollywood actor Akshay Kumar is playing the villain role in this film. AR Rahman is composing the music. Rajinikanth’s another film Kabali is getting ready for release in early 2016! !